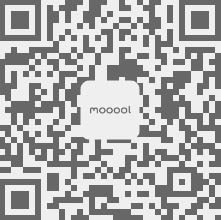 Thanks RADDAR Archiecture for authorizing the publication of the project on mooool, Text description provided by RADDAR Archiecture. 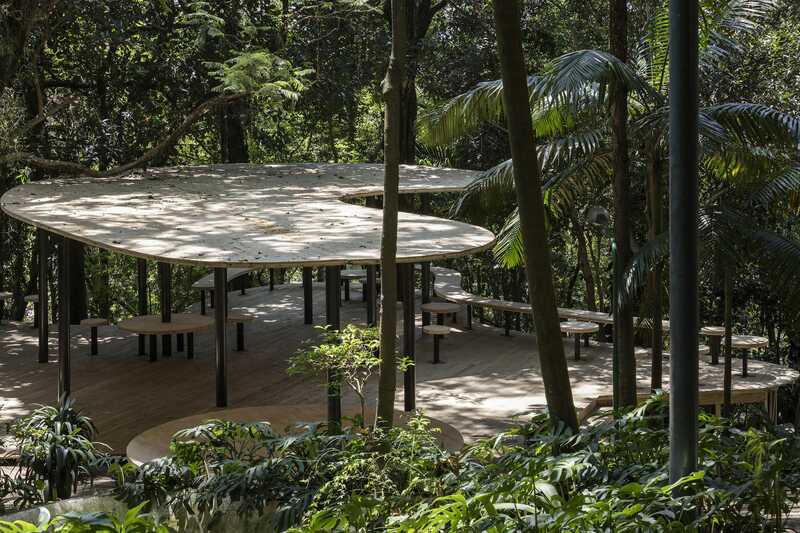 RADDAR Archiecture：The Pavilhão de Verão (Summer Pavilion) in the garden of Casa de Vidro is a temporary structure, designed by architect Sol Camacho, built to receive events during the warm months from December to March. 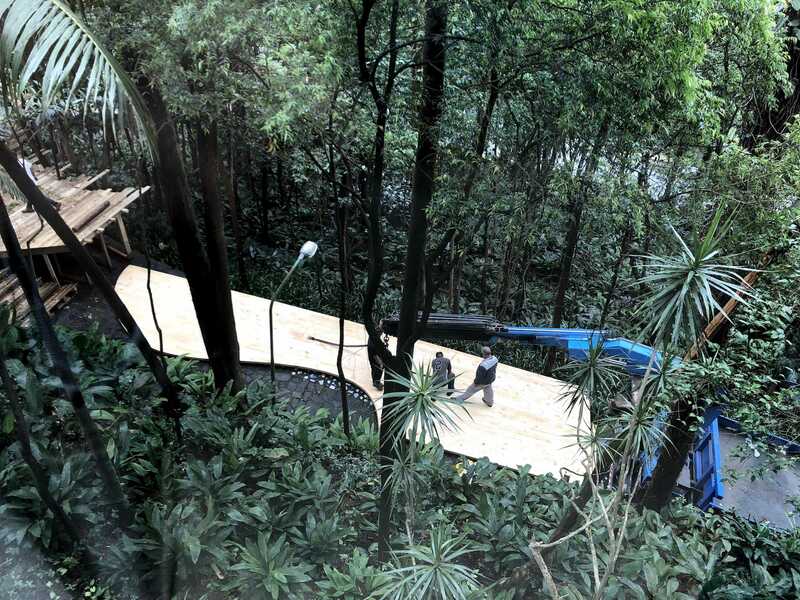 Waldick Jatobá – Executive Director of Instituto Bardi explains: “The intention of activating other spaces of the House, while Casa de Vidro hosts MASP exhibition Sonia Gomes – Still I rise in its main salon, triggered the idea of building a temporary structure in its garden to present a diverse cultural program and a big fundraising event”. 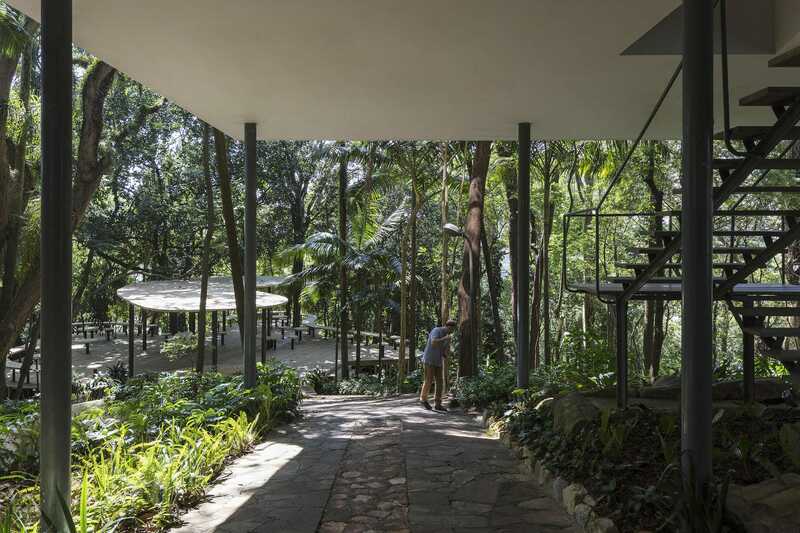 Pietro Bardi and Lina Bo Bardi, founders of the Instituto, were big cultural promoters in all areas of the arts. 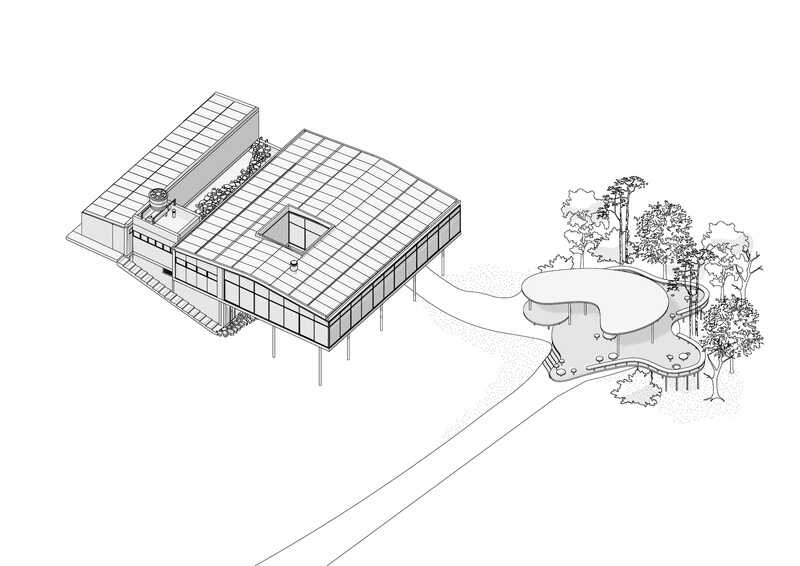 The pavilion in this way continues the mission of promoting cultural and educational activities in a new open space that can receive from small groups up to 220 guests. Music and dance performances, lectures on architecture, arts and design, courses on drawing, gardening and even culinary events, for adults and children are part of the diverse program. 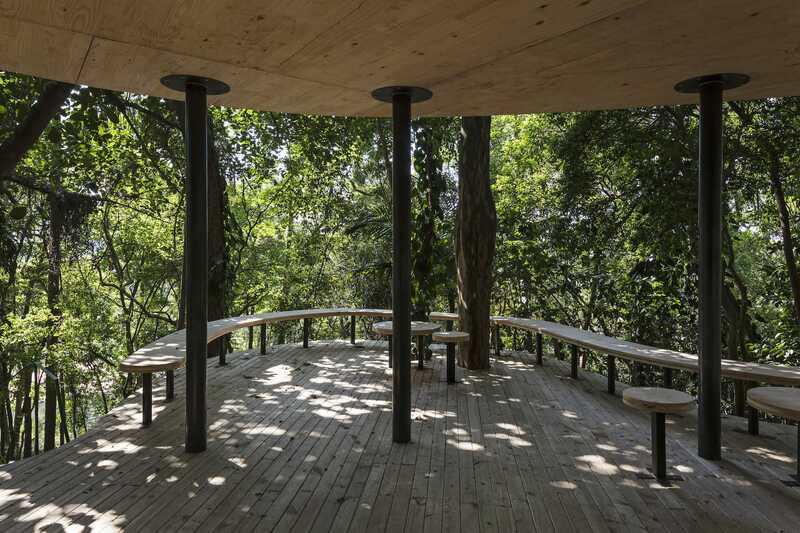 The pavilion is also an opportunity for regular visitors to the Glass House to spend more time in its garden, have a coffee or lunch and be inspired by the place. Sol Camacho was firstly inspired by Lina Bo Bardi’s designs of ephemeral structures and other architecture projects like the Quati restaurant in Salvador de Bahia. 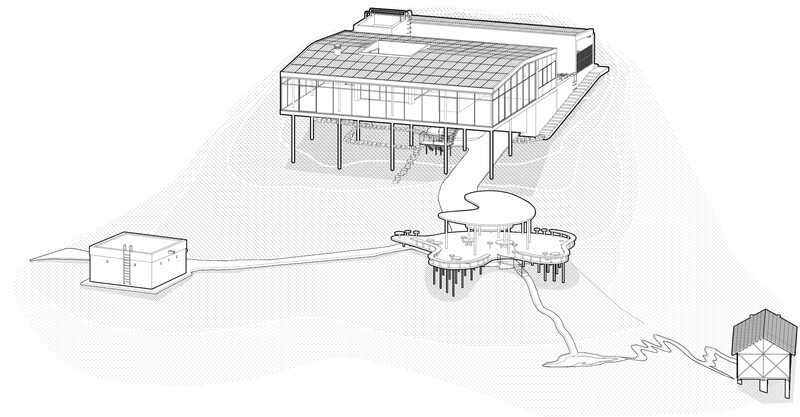 The pavilion’s organic lines draw from a careful study of the surrounding trees, the access to the Studio, and the stone ramp where it sits, following the possibilities of space while offering new relationships with the Glass House and a closer proximity to magnificent trees. 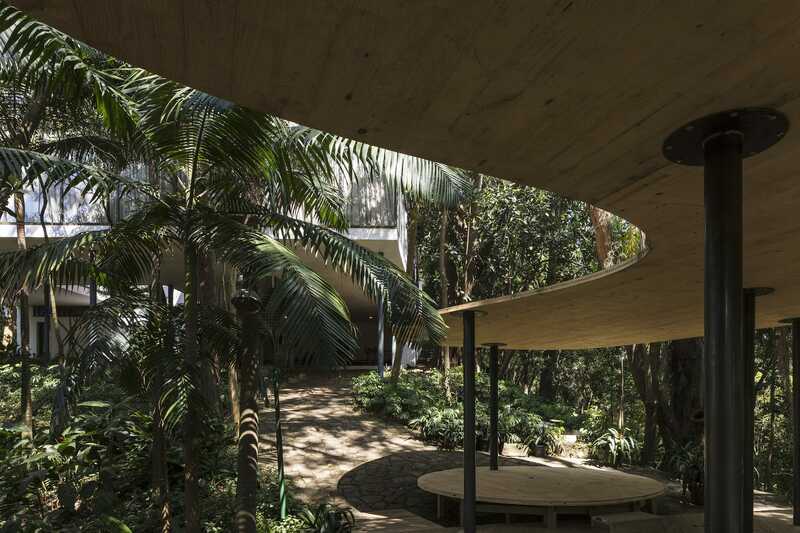 “This residence represents an attempt of communion between the nature and the natural order of things, opposing to the natural elements the least number of means of defense.” – Lina Bo Bardi in 1958. “With these words I started the project, Lina thought and designed her house in total interaction with nature. She created, planted and took care of the garden of the Glass House for four decades. The garden and the house complement each other. The pavilion had to follow this idea.” Sol explains. While the pavilion’s structure seems ‘low tech’, there is a great deal of technology involved. The shape was possible thanks to the material: cross laminated timber (CLT). 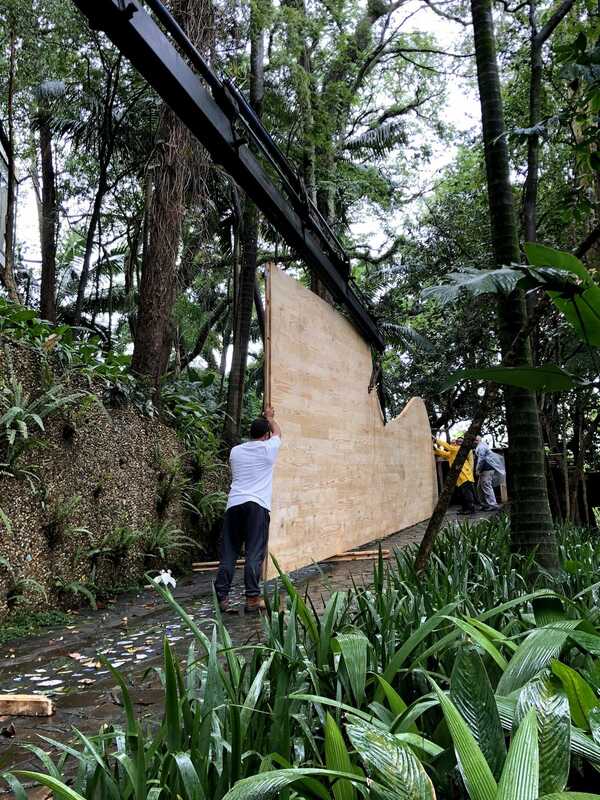 This material, although widely used in the US and Europe, it is only starting as a construction possibility in Brazil. 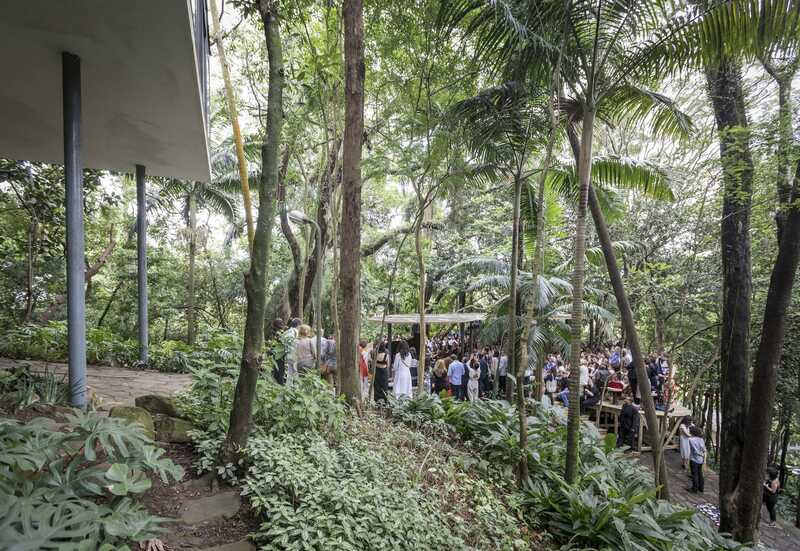 “Casa de Vidro is one of the few cultural institutions in Sao Paulo that speaks, exhibits and promotes the conversation about contemporary architecture; the idea of building the pavilion with CLT had a clear intention to speak about new materials and possibilities of construction in the Brazilian context.” says the architect. “The pavilion is a temporary intervention in the House and its temporality is an essential part of the project. The design, framing the house, and the choice of the material was also important within the context of this preserved heritage site. 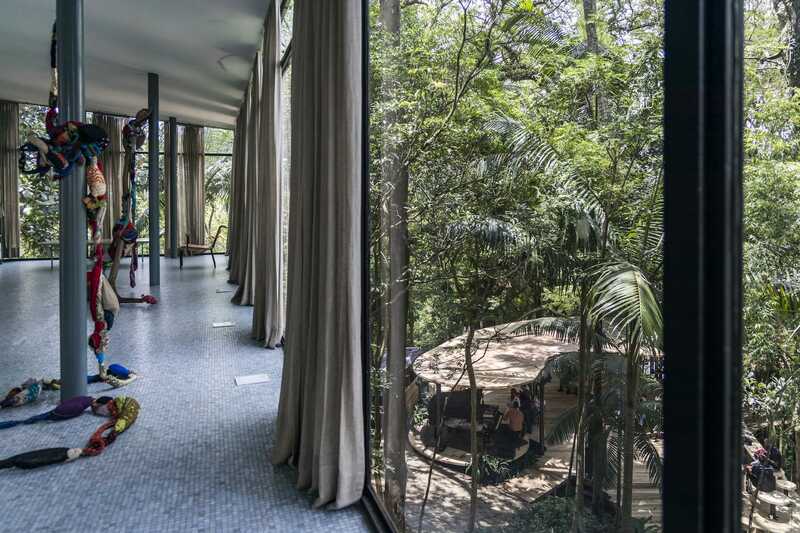 The Glass House is listed in all instances of the heritage organizations of Brazil since 1986.” affirmed Sonia Guarita – president of the Board. 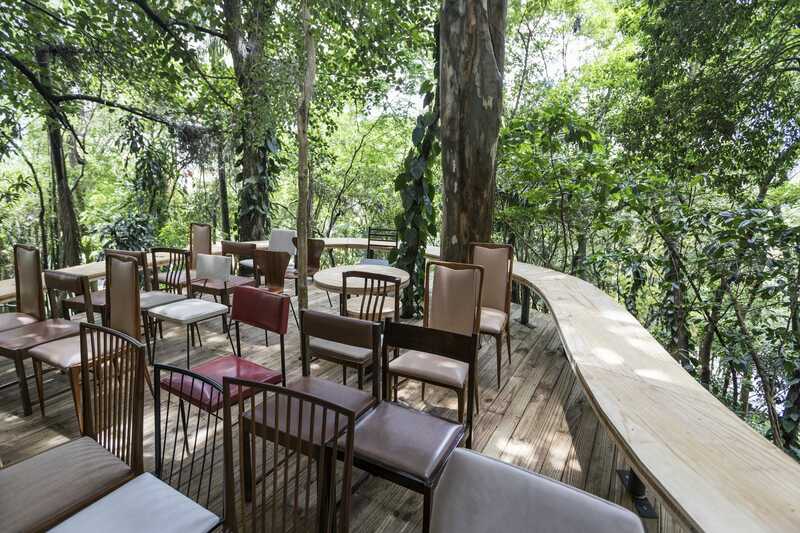 A private opening of this ephemeral architecture was a big success, hosting the first ever fundraising event for the Instituto where the local celebrity Maria Bethânia sang for the audience of 250 guests. The public opening will be this Sunday 16th (2018.12.16) with a Ballet performance from the community of Paraisópolis.